Changes have been made to Burnley Council’s much vaunted Local Plan by a government inspector who feels there are too many houses and employment sites included in the far-reaching document. In a blow to town hall chiefs, the council received notification from the government’s planning inspector, Kevin Ward, proposing a number of modifications that he felt were necessary in order to enable the examination of the Local Plan to be completed and for it to be adopted. Chief among these were his opposition to a proposed extension of the Burnley Bridge Business Park near Hapton and the Shuttleworth Mead site in Padiham. The inspector has also suggested that the council’s target for building new homes was too high. The inspector’s decision was met with anger and frustration from Burnley Council leader Mark Townsend who said the future prosperity of the borough was dependent on the availability of employment land. Coun Townsend said: “There will be a range of reactions to the inspector’s feedback on the emerging plan. “My initial reaction is concern over the impact this could have on economic growth. “Our future prosperity depends on the availability of good quality employment land to attract new businesses into our borough and by providing space for existing companies to grow. In a further blow to the council, the inspector disagreed with the council’s aim of including high quality new homes in the Local Plan. He did, however, raise no objection to an extension of the Network 65 business site. Coun Townsend added: “The proposed 13 hectare extension to Network 65 is welcomed, but I fear that it will not be enough. “I am also disappointed that the inspector doesn’t agree with our ambitions for high quality, aspirational homes, with proposals to remove policies to ensure high quality housing on many of the development sites. “We’ve only recently received the inspector’s letter and we need to look at the details of his findings so that we can plan the best way forward from here. “Burnley has a growing reputation as a centre of business excellence and this doesn’t change that. “Burnley is still open for business and we will continue to do all we can to support companies to grow and create jobs. The council will now re-draft the plan to include the proposed modifications, after which the modifications will be published, together with a revised sustainability appraisal, for a six-week consultation period. The consultation will relate only to the modifications and other plan matters will not be re-opened. The inspector (not the council) will consider representations made during the consultation period prior to issuing a final report. 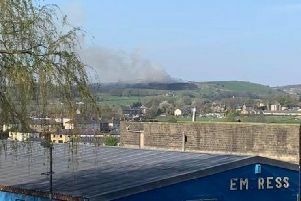 The Burnley Express revealed recently that the inspector had also disagreed with the council’s preferred location for a permanent site for gypsies and travellers in Oswald Street, Stoneyholme. The council has said it will not look for alternative locations. Regarding the housing situation Mr Ward said: “I can confirm that subject to the main modifications set out, I consider that the Local Plan would make adequate provision for housing over the plan period and would provide for a five year supply of housing land while addressing the shortfall to date within the first five years. “I consider that there has not been persistent under delivery of housing and therefore a 5% buffer is appropriate. I am satisfied that a five year supply of housing land can be maintained. “You will see that the main modifications which I consider necessary include reducing the annual average housing requirement from 209 to 194 dwellings, reducing the employment land requirement from 90 hectares to 66 hectares and deleting the proposed employment allocations on land currently in the Green Belt at Shuttleworth Mead South and Burnley Bridge extension.